What departure location are you interested in? 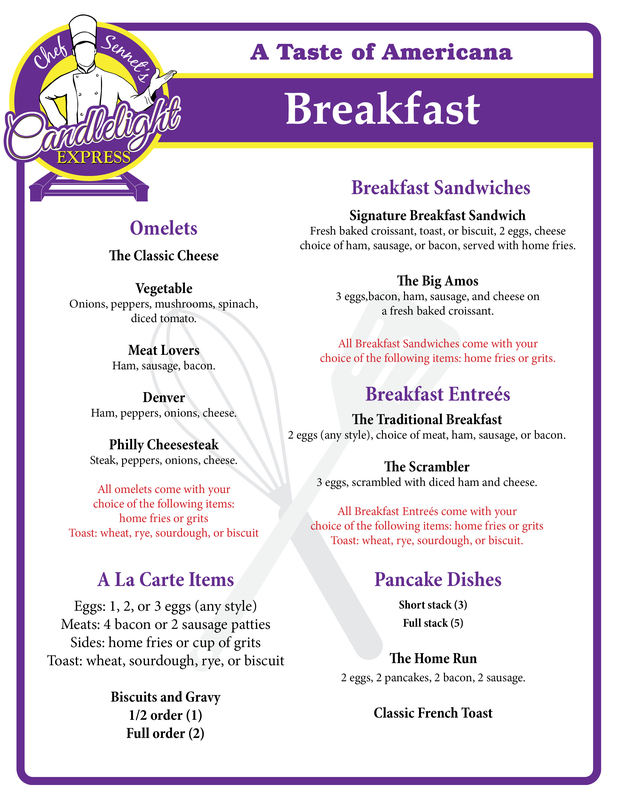 Experience breakfast in an all new way with the Candlelight Express! Chef Sennet Williams and his team provide made-to-order breakfasts in our historic Silver Tureen dining car. Whether it is a hearty breakfast featuring all the classic fixings or a lighter start to your day, Candlelight Express has you covered.